Look after candles to preserve their fragrance. Can you stop a Yankee candle losing scent? All candles lose fragrance over time, however is there anything that you can do to keep the scent as fresh and strong as it was when the candle was purchased? Yankee candles pride themselves on the quality of their scented candles. Many years of research and experience have gone into the creation of an exciting and unusual range of scented candles. The range of fragrances is extensive, with natural and floral fragrances featured as well as a wide range of other less typical scents. Although the candles are lovely to look at, many people choose Yankee candles for the scent. Stopping a Yankee candle losing scent will help to keep the fragrance strong. A scented candle, such as a Yankee candle, is made by carefully blending fragrance oils, such as natural essential oils or synthetic fragrance oils, with wax. Some triple scented candles are made from a blend of fragrances. Scented candles are available in traditional forms, such as column or votive candles as well. They are also created from new wax innovations such as soy wax. Many scented candles come in jars or in lidded tumblers. One way to preserve the scent of a candle is to ensure that the lid is firmly on when the candle is not in use. This is particularly useful if you are going to be away on vacation or out of the house for any period of time. Most jar candles have lids that can be tightly screwed shut. Other container candles should also be covered when not in use. When candles get warm the fragrance starts to release. If you are looking to stop your Yankee candle losing scent it is therefore important to keep the candles away from direct sunlight. Direct sunlight can also cause the color of a candle to fade. 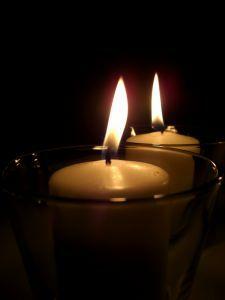 Keeping candles in a cool and dark place when not in use can extend their lifetime significantly. Candles, such as tart candles, that are not created in a jar or other container are often sold wrapped in cellophane. The best way to ensure that the candles do not lose their fragrance is to keep the candles wrapped in cellophane until use. These should also be stored in a cool and shaded place. Fragrance oil burners heat scented oils such as natural essential oils or synthetically produced fragrance oils so that the scent is released. These burners can be used as little or as much as you like giving complete control over home fragrance. Wooden balls that have been impregnated with fragrance oils are a lovely way to add to home fragrance. These balls can be 'topped up' with fragrance by putting them into a plastic bag and sprinkling this with fragrance oil. One of the most traditional forms of room fragrance is pot pourri. This is created from dried aromatic plants and looks pretty as well as giving an attractive scent. A few drops of fragrance oil can add the the scent. While these other methods of home fragrance may not have the ambiance of a candle, they do offer other benefits. If you are worried about a candle losing its scent then perhaps having an alternative form of home fragrance available will provide a useful backup.